Russian pianist; born in Moscow June 2, 1835; died in Paris March 23, 1881; brother of Anton Rubinstein. 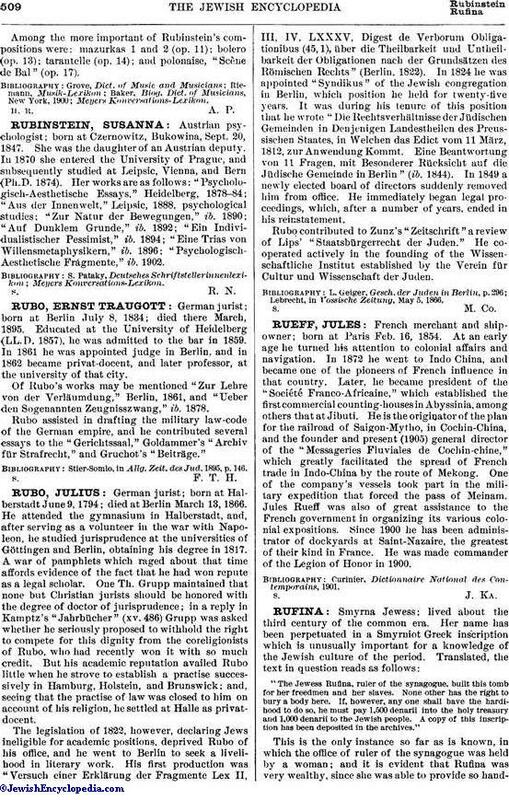 He received his early instruction from his mother, by whom he and his brother were taken to Berlin in 1844. There he studied pianoforte under Kullak and composition under Dehn until 1846, when his father's illness necessitated his mother's return to Moscow; she took Nikolai with her. 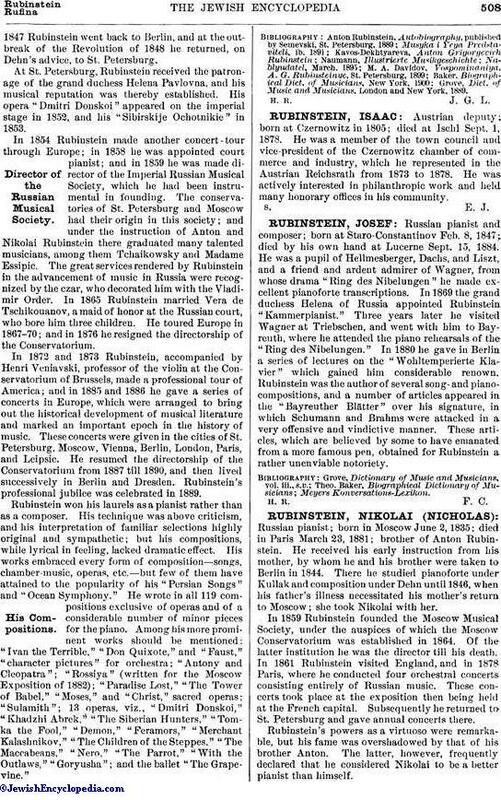 In 1859 Rubinstein founded the Moscow Musical Society, under the auspices of which the Moscow Conservatorium was established in 1864. Of the latter institution he was the director till his death. In 1861 Rubinstein visited England, and in 1878 Paris, where he conducted four orchestral concerts consisting entirely of Russian music. These concerts took place at the exposition then being held at the French capital. Subsequently he returned to St. Petersburg and gave annual concerts there. Rubinstein's powers as a virtuoso were remarkable, but his fame was overshadowed by that of his brother Anton. The latter, however, frequently declared that he considered Nikolai to be a better pianist than himself. Among the more important of Rubinstein's compositions were: mazurkas 1 and 2 (op. 11); bolero (op. 13); tarantelle (op. 14); and polonaise, "Scène de Bal" (op. 17).